When you arrive at the research location, you will first report to the desk. The staff member at the desk will then ask you for some information and take your urine sample. First, the study will be explained to you. At this time, you can ask all of the questions you might have about the study. When everything is clear, we will ask you to sign an informed consent form. By signing this form, you are stating that you have been fully informed about the study, and that you would like to take part. Then we will ask you a few short questions about your current health. We will make note of the medicines and food supplements you use. We will take this information from the packaging of the medicines you bring with you. 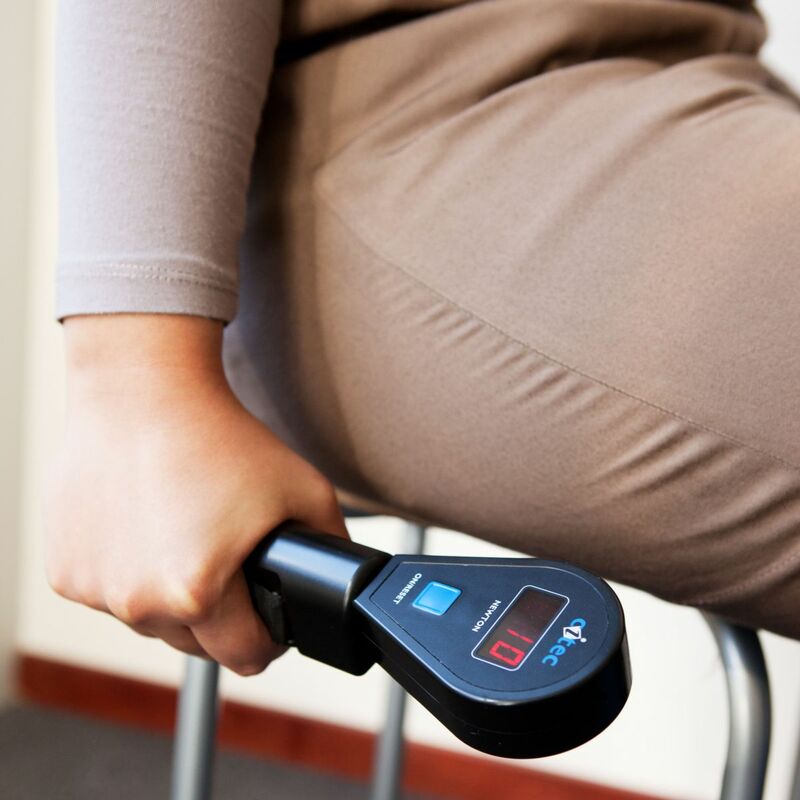 Finally, we will measure your height and weight, and the circumference of your hips, waist, arm, calf, and thigh. Next, we will take a number of measurements during which you only have to lie or sit quietly. 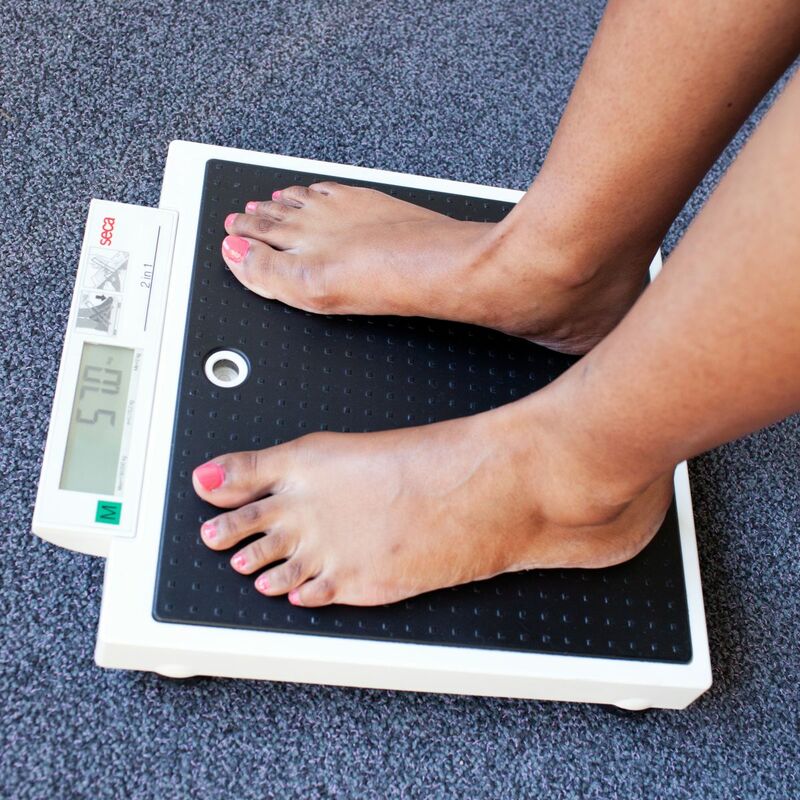 To measure the percentage of fat, we will attach 2 stickers to your bare hand and 2 stickers to your bare foot. You won’t feel a thing during the measurement. 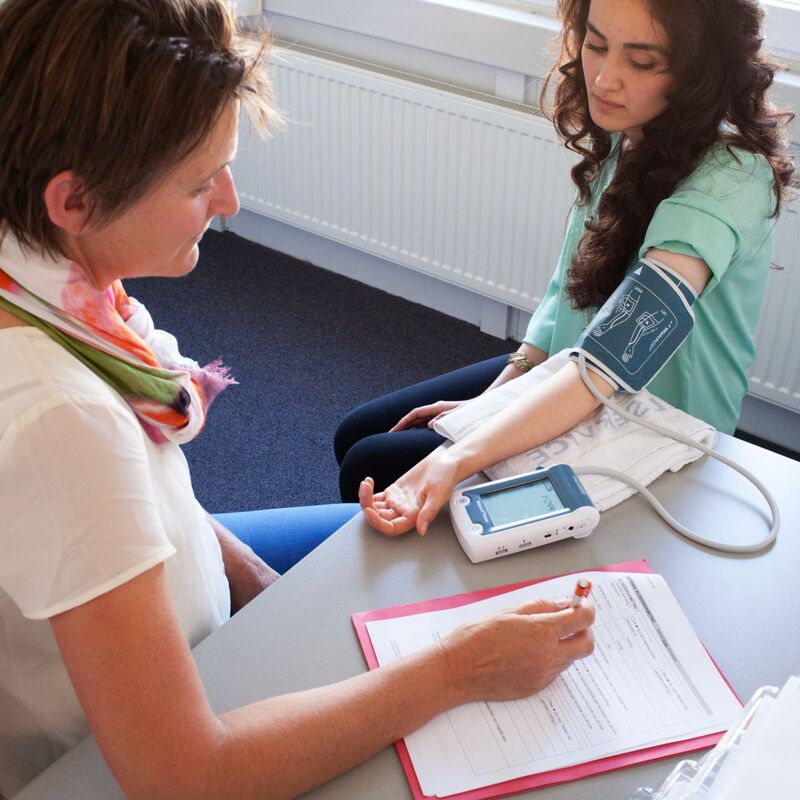 We will also make an ECG (electrocardiogram) of your heart. 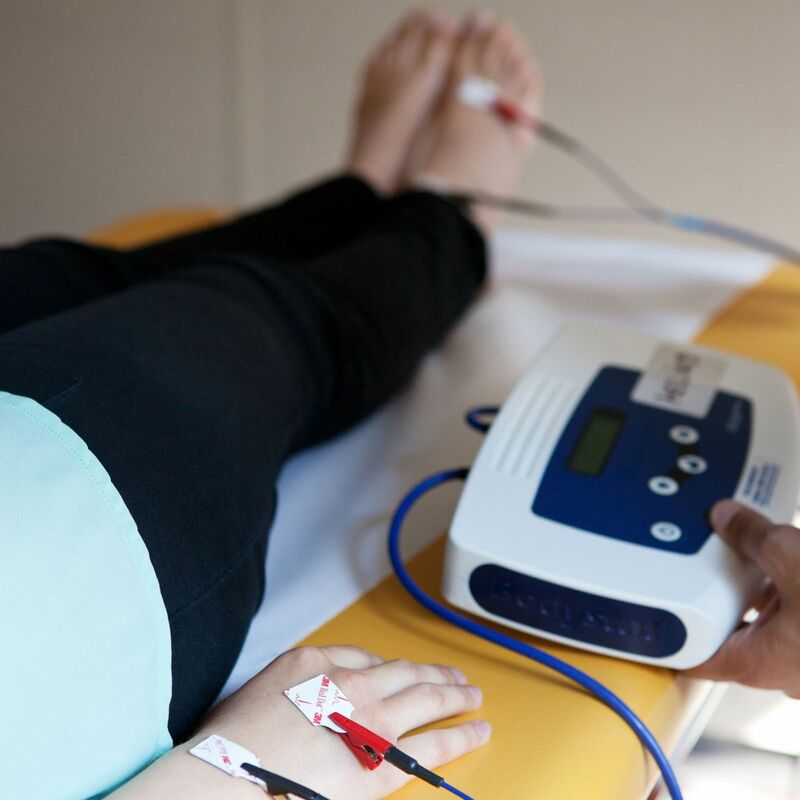 To do this, we will attach a total of 10 electrodes to your chest, hands, and feet. You won’t feel a thing during this measurement, either. Then we will take your blood pressure while you are sitting down. Finally we will measure the strength in your hand. To do this, you will squeeze something that resembles a big clothes peg as hard as you can. In Part 3, we will first take a sample of your blood. If you are a woman, we will ask you to use a cotton bud to take a sample of vaginal mucus on your own. You can do this in the toilet in complete privacy. Following we will give you a simple breakfast. If necessary, anything that isn’t clear in the written questionnaire will be discussed. This is the end of your examination.